Just wanted to let you know that the discount link is now live and the bonuses are all set for those who want to purchase the School of Natural Healing’s Family Herbalist home study course. As far as the bonuses go, once the purchase is made and you receive a confirmation email, just forward that confirmation email along to me at erich@tacticalintelligence.net and I will send out the bonuses to you (keep in mind these bonuses are only valid during the week of this sale — until eod Sunday). 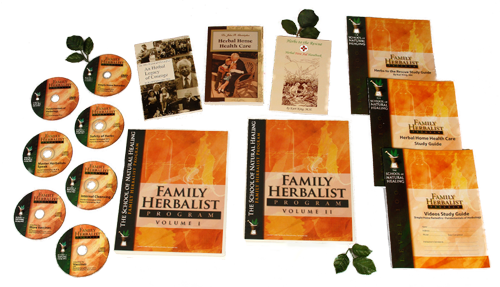 The first course, Family Herbalist (Level 100), is the starting point to mastery of your own health and is a prerequisite for all courses that follow. The Family Herbalist course is comprised of five information-packed sections that will give you the knowledge you need to take full control of your family’s health care. All materials are delivered online, allowing you to move through the course at your own pace from the comfort of your own home. With this knowledge, you really can become your own primary care provider. Learn the best ways to prevent childhood diseases. Understand how to avoid the most common germ environments. Learn the best herbal foods for expectant mothers. Discover the best way to prepare foods for pregnancy. Learn why this common herbal tea is an invaluable aid for women. Find out the common causes for miscarriage and herbal formulas to prevent it. Study wholistic healing programs for children. Know the most common symptoms of childhood illnesses and how to treat them. Learn what causes colic, a parent’s nightmare, and how it can be healed. Discover the three herbal teas most useful for colds and flu. Be amazed to find this one herb you can easily grow in your yard is packed with vitamins and minerals and has many, many medicinal uses. It will allow you to throw away almost everything in your medicine cabinet. Learn of a common food causing huge problems in your body. Eliminate just this one food from your diet and it will change your life. 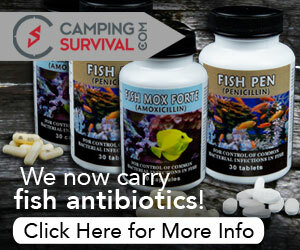 Discover that natural first aid remedies are easy, inexpensive, and accessible. Learn natural remedies to quickly heal minor injuries. Learn a common herb that is invaluable for building calcium in the body. Uncover a simple formula to clear up Acne. Read how to quickly heal and reduce pain from bee stings, spider bites, and insect bites. Discover natural remedies for poisonous bites. Understand the symptoms of shock and how to treat it. Discover simple herbal treatments to aid in healing broken bones. Learn what herbs are used to treat hypothermia and frostbite. Learn how to make fomentations and poultices. Know how to heal burns with herbs you probably have in your kitchen. Discover easy herbal combinations for healing glands. Learn how to make various herbal teas for many types of ailments. Be amazed to discover many common ingredients right in your kitchen that can be used for healing. Learning this will save you tons of money on prescriptions. Learn which herb is nature’s anti-biotic? (You probably have some of this in your cupboard). Learn what herbs are used to stimulate the immune system. Being sick is not inevitable, there are many people who rarely, if ever, get sick because they know this. Find simple home remedies for treating bloody noses. Discover easy-to-make remedies for sunburn. Understand herbal combinations for colic and upset stomach. Watch how real people just like you use this knowledge every day to keep their families healthy and happy. Be delighted that this common ingredient you regularly cook with has incredibly powerful healing qualities. Learn how to use it to quickly get rid of colds, and flu. Find a simple, easy-to-make herbal formula that will eliminate congestion. Discover a very easy treatment for fevers. Learn how to treat lung problems and cardiovascular problems. Find an easy herbal combination to help PMS. Ladies, you will be forever grateful for this simple solution. Guys, you will too! Be delighted to find easy-to-make herbal combinations for migraines. If you suffer from migraines this bit of information will change your life forever! Uncover simple herbal remedies for preventing most diseases. Learn what the difference is between a vitalist and an atomist, and why it is important. Understand the philosophy and differences between modern medicine and natural healing. Learn the cause for most disease in your body. You will also discover that this cause is easy to avoid. Learn an easy cleansing method to rid your body of toxins. Hear real life examples of people who have experienced ‘miraculous’ results in their health by learning and applying this knowledge. Discover the safety and efficacy of herbs. Learn the history of herbs and how they have always been used. Uncover the difference between herbs and drugs and what that difference means for you health. Discover a simple herbal remedy for hearing problems. Learn an easy herbal remedy for strep or sore throat. Learn how to cleanse your system for optimal functioning. Discover how to maintain a healthy colon. It’s said 90% of all diseases originate in the colon. Learn to take care of it and change your life. Uncover the facts and fiction about vaccines. This is a hot topic today with loud voices on both sides. Hear real life stories and facts so you can make the best decisions for your family. Hear Master Herbalists speak of their experiences with their own families and clients. I love the concept of this, but I am a little disappointed that there aren’t any real books. 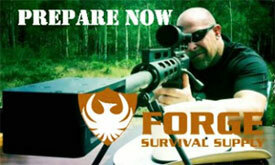 In a SHTF scenario I want books that I can reference and cross check. Did I misread the info, or is this a totally online course? I totally understand. They do have a physical-book option but it is much more expensive ($495). A little too steep for my tastes. You can see that option on their main site at http://www.snh.cc/College_of_Herbal_Medicine.html. With the money I’m saving through the online option I can purchase all the recommended books without an issue. Definitely an option for you as well if you want to go that route. When it comes down to it though, my main purpose of taking the course was for the education. 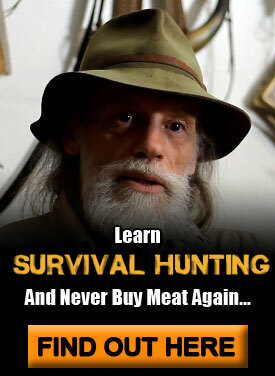 I hope that this education in combination with the books I purchase will be sufficient post SHTF.